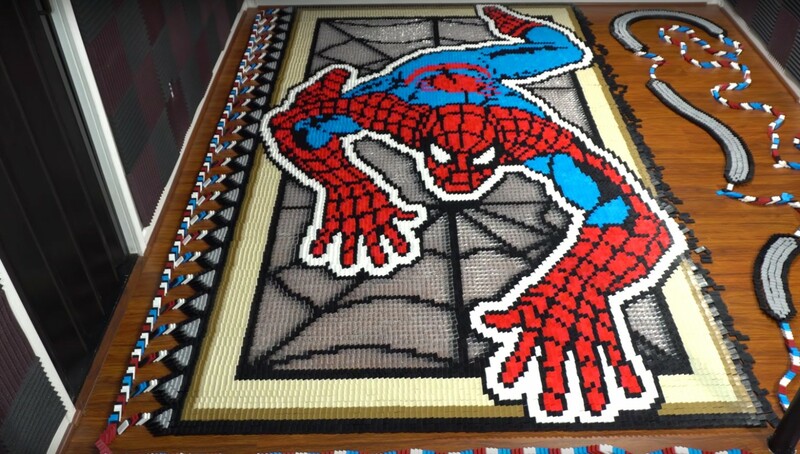 Insomniac's Spiderman has the gaming world buzzing about the superhero, and YouTuber TheDominoKing was so impressed by the game themselves that they created an impressive tribute entirely out of dominoes. It features Spider-Man in his classic suit, along with other logos and his iconic spider symbol. It took TheDominoKing 7 days and 36,186 dominoes to build. "I’ve been playing the new PS4 Spider-Man game and can honestly say it’s the best superhero hero game I’ve played since the Batman Arkham games," writes TheDominoKing in the video's description. Read our review of Insomiac's Spider-Man by heading here.